Strings are as important in Badminton as tires are in car racing. Just as the tires set up the contact between the driver and the race track, the strings establish the contact between racket and shuttlecock. They transmit the power and give the players the feeling for the shuttle. When the strings wear out, the precision and the touch of the racket get lost – just as a racing car’s wheels start spinning when its tires are worn out. Take your racket to a “pit stop” with the stringster app from time to time to ensure that you can continue to use your racket effectively. Our tip: Experience different tension levels and string models to make your game more effective. Download now: the new stringster app to measure the tension level and the freshness of your strings! Manage up to 3 rackets for free – no matter how many times you restring them. 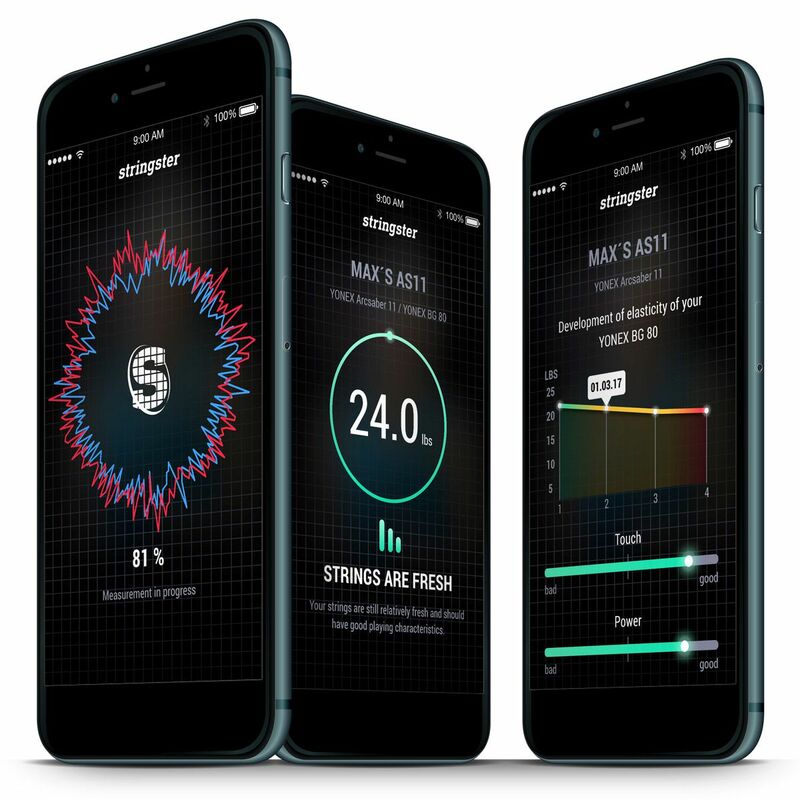 The stringster app shows the results of your string tension measurement in a coloured circle. The colours green, yellow and red indicate if your strings are “fresh”, “ok” or “dead” – they don’t stand for “high tension”, “middle tension” or “low tension”. 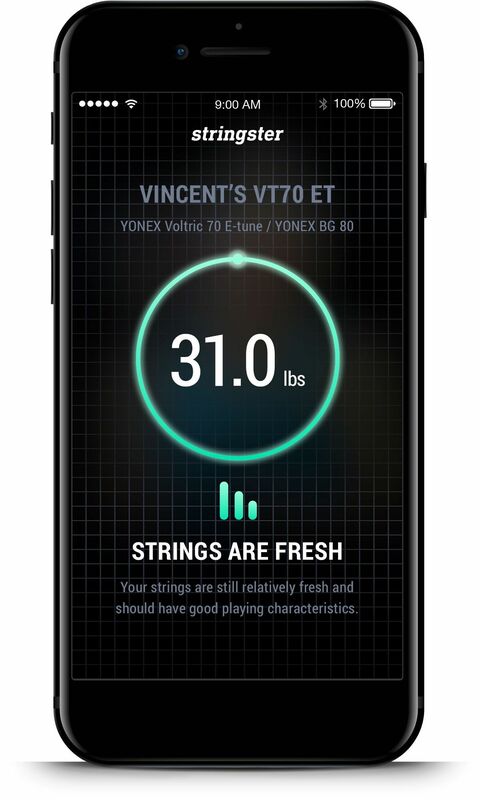 All badminton strings react to changes of temperature. Temperature differences of 10–15 centigrade may result in differences of tension level up to 200 gramms. Extreme heat (leaving your racket inside the car during summertime) results in an irreversible decrease of tension level and elasticity. Modern stringing machines usually have a pre-stretching function. The strings can be pre-stretched by e.g. 10% or 20% before applying them to the desired tension level. The effect of pre-stretching is discussed controversially. The main advantage: The desired tension level lasts longer. The main disadvantage: The elasticity of the strings is reduced as a certain wear out has already occurred. Some stringers even say, pre-stretching strings will literally take the life out of them. If a stringing has been performed with pre-stretch the measurement result with the stringster app will initially be above the desired string tension. Most of the stringers provide the strings with a string logo after stringing. It is ment to reduce the “sawing” of the strings while playing, which accelerates the wear out of the string. 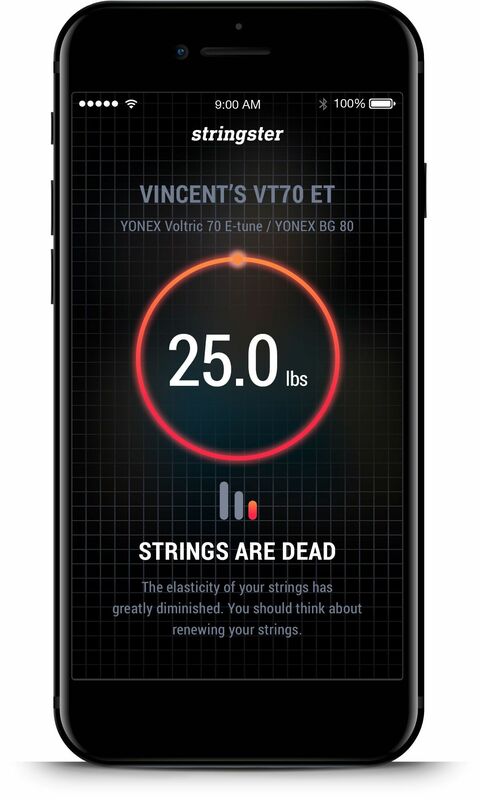 If the string logo is applied with a lot of colour, this reduces the vibration of the strings – and thus slightly distorts the stringster measurement result by about 100–200 grams. If the measurement result for a string with a fresh string logo is 10,5 kg, in reality it’s about 10,6 kg–10,7 kg.